When Swig opened near Union Square in 2003, its Irish owners carried every brand of Irish whiskey available in the United States. All five of them. Nine years later, not only do they carry 32 Irish whiskeys, but their customers are also drinking a lot more of them. The phenomenon is by no means limited to Swig. Irish whiskey is the fastest-growing spirit category in the United States, with a 23.6 percent increase in volume sales in 2011 alone, according to the Distilled Spirits Council. It now outsells single-malt scotch. Sheehy cites several reasons, including a wider range of whiskeys and better marketing by the two big players – Jameson and Bushmills. 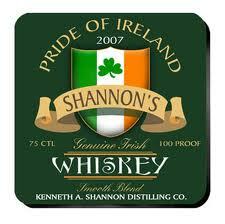 Just a handful of distilleries make whiskey in Ireland, compared with at least 100 in Scotland.